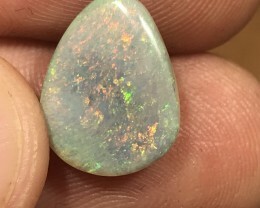 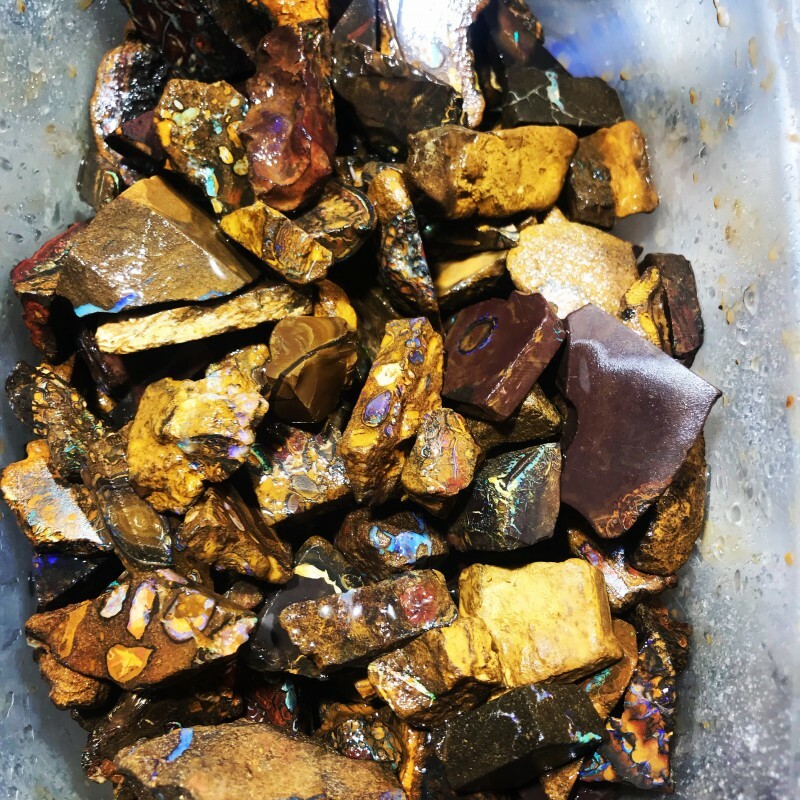 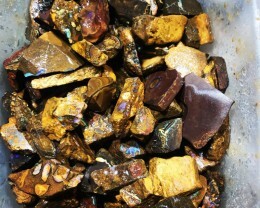 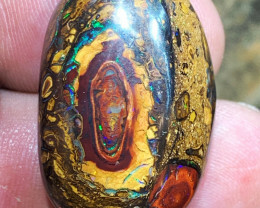 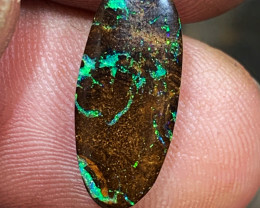 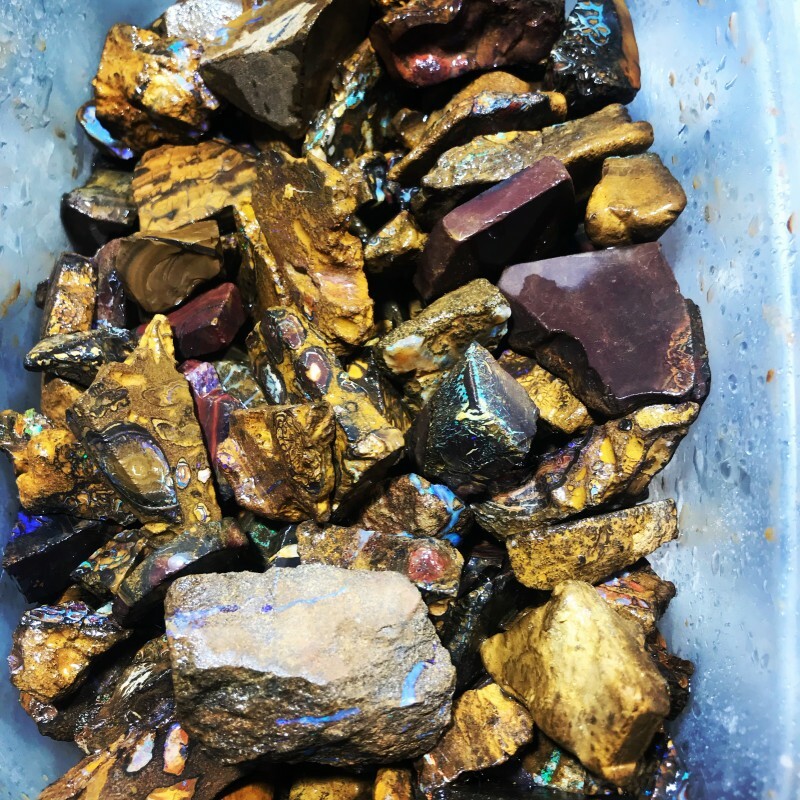 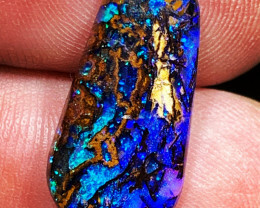 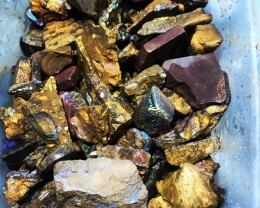 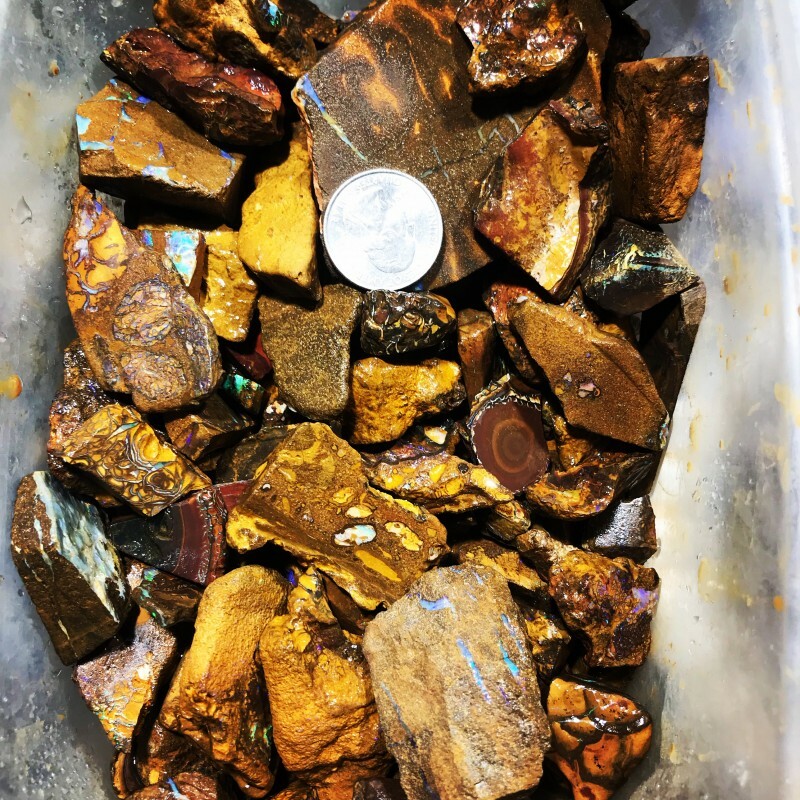 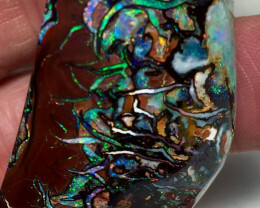 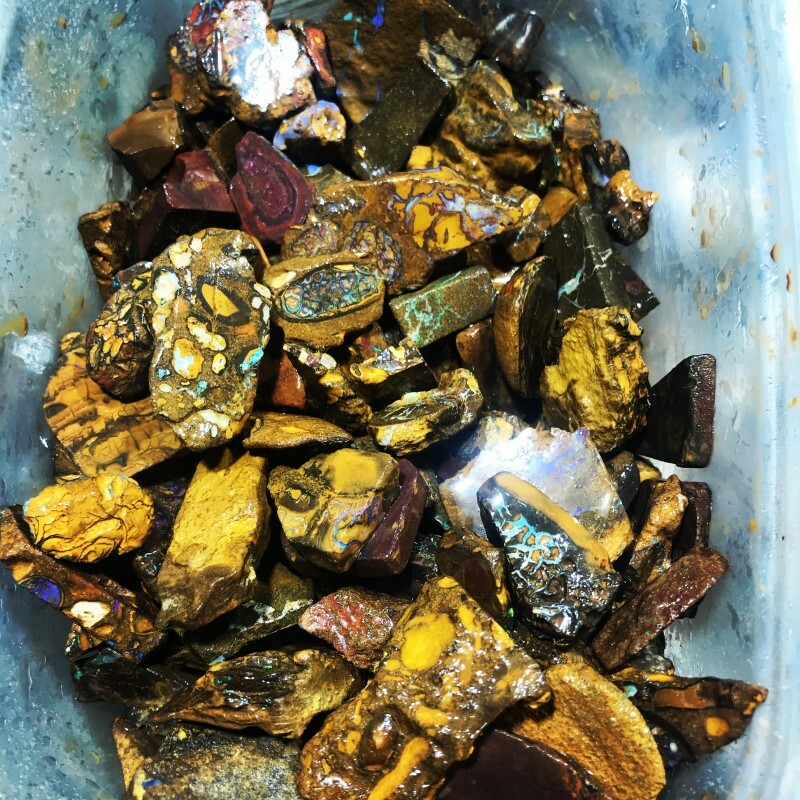 Beautiful Yowah, Koroit, and Matrix boulder opal rough chips. 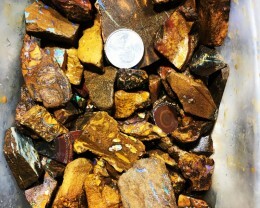 Great color in chips. 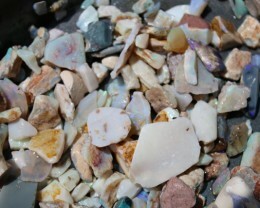 Will cut many nice small stones. 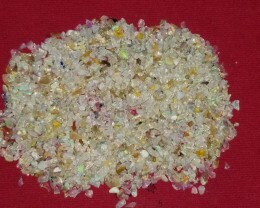 99 USD per lb. 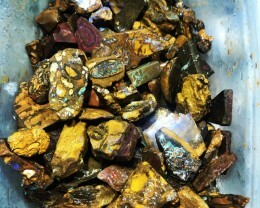 100 lbs available.